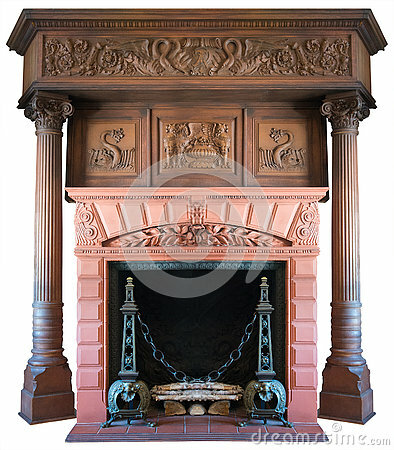 Old vintage Victorian era fireplace. Isolated on white. PNG file available.